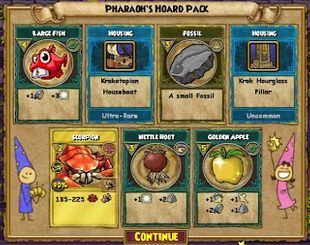 This pack comes influenced by Krokotopia's design and touch. 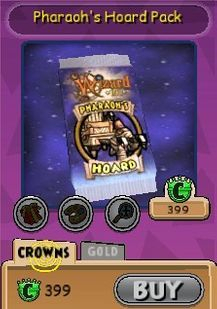 Everywhere you look, you know it's a Krokotopia item. 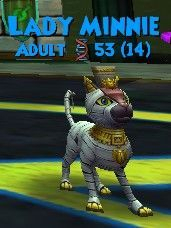 You can enjoy walking around in a gear that would remind you of Bast, one of their goddess who's a cat. 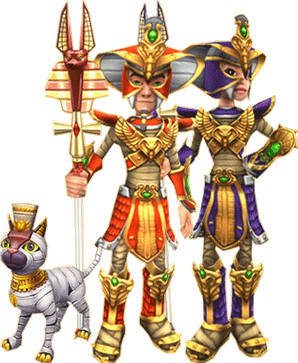 Even better, you can walk around with a brand new buddy; the Mummy Cat! If you love decorating your house, well this pack will sure give you a LOT furniture and all with the Krokotopia's design. You could get lucky and get an Amber or Turquoise reagent if you want to craft something special. 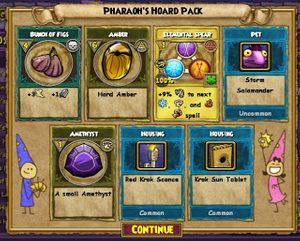 This pack also comes with a few brand new items; Tapestry to the Oasis, the land of Krokotopia and Tapestry to the School of Balance. If you're a student of Balance, you will sure love this pack. 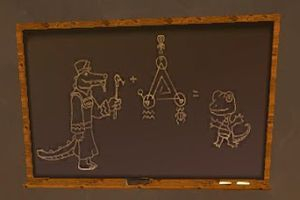 You could also get exclusive and rare items that's very hard to get; the Krokotopia Houseboat and the Kroktopia Grand Tent which was an extremely rare drop in Kensington Park. 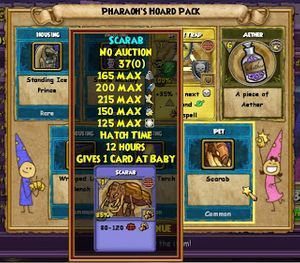 And for me, the best of all is there's a brand new BALANCE Scarab pet! 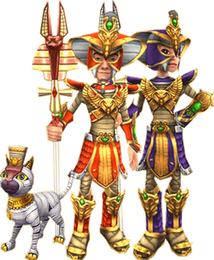 It was in a few old Wizard101 videos, but was never released. But for you, the best thign probably is the awesome Krokotopia Mander Mount. 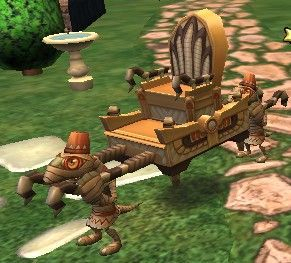 You can lounge quite lazily LITERALLY in this mount being carried around by manders like you're a god or goddess. With this pack, you can't go wrong!